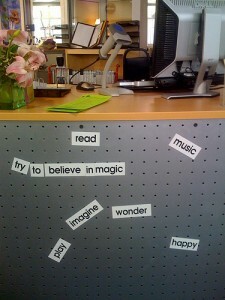 Another way to add to a sense of play in the library is by using play in your library decor. You aren’t always in the position to remodel a library, but there are lots of ways to add whimsy to your library space. And especially at the high school level, there aren’t many places in the building that are whimsical, so it is something students really appreciate and it makes it feel more like their space. We have a number of these puzzles on our front desk and the students absolutely cannot keep their hands off of them(nor can the teachers!) 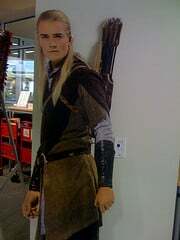 The other item which kids are constantly asking to take home are our life size cutouts of Orlando Bloom. 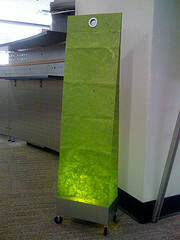 IKEA has lots of whimsical items for a library, like this fun rolling bag lamp. The students are also enthralled by touch lamps….who woulda thought! 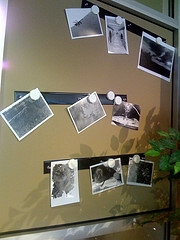 Use magnet bars to provide students areas to post their art or flyers. (These are from IKEA). 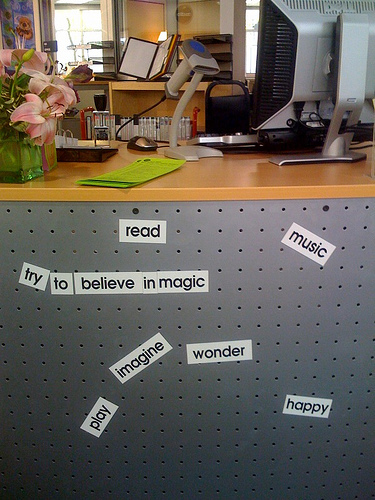 Post magnetic poetry (I found a magnetic poetry calendar on sale for 90% off from the previous year, but the magnets are still useable!) My assistant found the large ones pictured below for our front circulation desk. If you have windows, use window clings–DezignwithAZ has some really cool window clings, but you can make your own with window decals from Office Depot. We are also hoping to have a display later in the spring by projecting art onto the glass windows of the library with our lcd projectors–a transparent display so to speak, where the light will spill out into the hallway. 5. 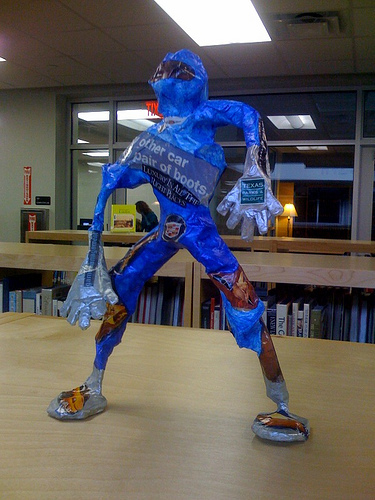 Student art–sculptures, pottery, digital prints and photography are all a way to add humor, whimsy and life to a library space. I read you all the time and appreciate this series on play. I’ve bookmarked these ideas. I wouldn’t have thought of them, but I really like them. I keep working on the welcoming part of the library. These ideas will be coming soon to my library. Totally with you on this Carolyn. 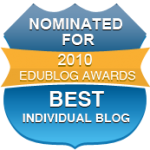 You’ve presented some great ideas here that I intend to steal! !